Don’t know if you’ve noticed, but most things in Italy are picture perfect. Like her bike, the paint is all perfect and shiny, not a single scratch on it. Same goes for shoes, clothes and so on. 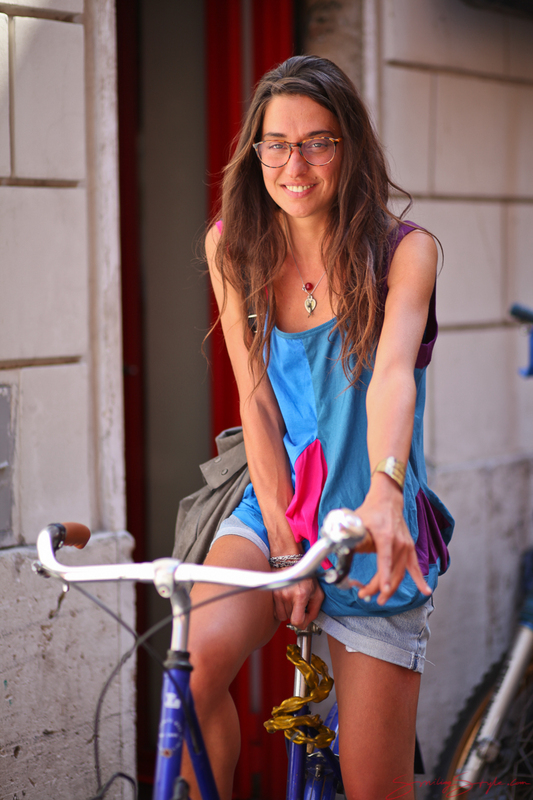 And not just that, also all colors match, just like her outfit and the shades of that with the bike, and her cool flair.